The Ultimate in Shading Protection. 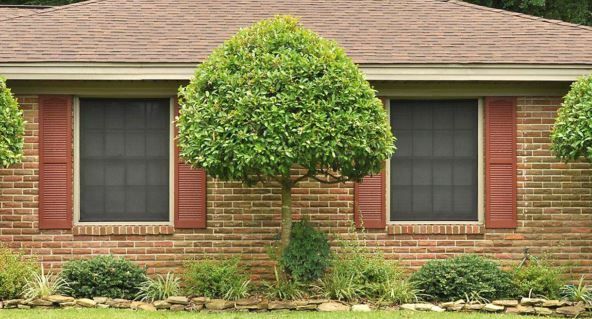 Phifer Super Solar Screening offers the ultimate in shading protection by blocking up to 90% of the sun's heat. This fabric also improves daytime privacy while offering outward visibility. Phifer Super Solar Screening works whether windows are open or closed. It keeps carpets and draperies from fading, as well as helps save energy. Openness factor approximately 10% and UV blockage is approximately 90%. Enjoy the benifits of a Quik Shade by ordering yours today! 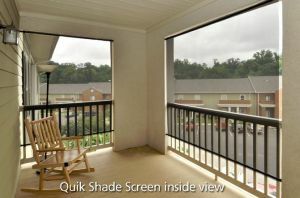 Phifer Quik Shade Screen is a 90% closed solar/daytime privacy shade fabric ideal for windows, porches and balconies. 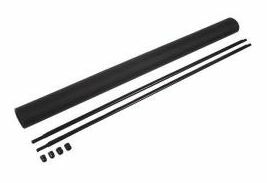 Screen is easy to fabricate - no drilling or screws required - and installs similar to a shower curtain rod in any framed opening. Install solar screening yourself and save! Simply cut the screen to the desired width, insert the adjustable rods into the screen fabric pockets, adjust rods to the screen and opening width and fit into opening. 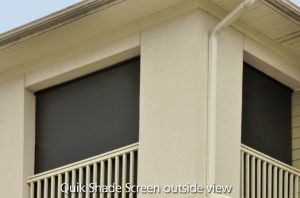 Phifer Quik Shade Screen can also be hung from RV awnings, on playground equipment or fencing with plastic ties or used for decorative purposes. Easy to remove, roll up and store. See photos for suggested applications. Instant Solar Screen 23"-42" x 78"
Instant Solar Screen 40"-72" x 78"
Instant Solar Screen 66"-96" x 78"